The conference venue will be the conference center of Beihang University, China. The local organization committee have preliminarily blocked rooms with special rates in the following hotels close to the conference venue. 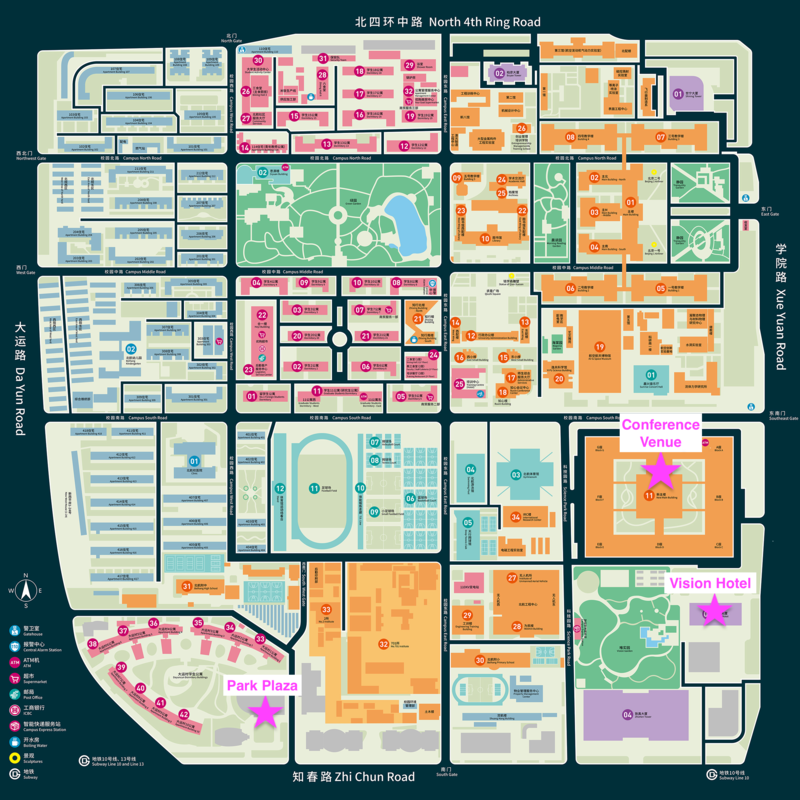 You may find the locations of the conference venue and the hotels in this campus map. Instructions for how to make your reservation at these hotels with the special conference rates will be provided as soon as possible. 50 rooms blocked with rates in the range of 115-130 USD/night depending on the room type. These rates include texes and at least one breakfast (a second breakfast may cause extra fees). This hotel is next to the conference venue. 25 rooms blocked with rates about 95/105 USD/night including taxes and one/two breakfast(s). This hotel is 10-15 minutes away on foot from the conference venue. A further budget-friendly hotel (to be confirmed) is planned with rooms at the rate of around 60 USD/night within the walking distance of the conference venue. The details will be disclosed as soon as the hotel is confirmed. Dr. Mou will send you an electronic scanned copy of the invitation letter (usually within one week after the request).